Criminals are becoming increasingly creative in their efforts to commit crime and, as a result, businesses and homeowners are increasingly concerned about protecting their property and family/staff from damage or theft. But thieves and vandals aren't the only threat. Fire, for example, can be devastating for anyone who is unfortunate enough to suffer a fire in their property. It is therefore crutial that you consider fire safety when thinking about an alarm system. This is additional consideration is driving business and homeowners to pursue alternatives to the traditional burglar alarm and invest in more advanced security systems. At Access Control Solutions, we have extensive experience of delivering professional, tailored, security advice and fire/security systems to businesses and homeowners across Leicester and Coventry. Good security begins with an accurate risk assessment. We can work with you to identify and control risks, even those that aren't immediately apparent. Naturally, the safety of your staff and family is of paramount concern. That's why we offer a range of security alarms, that are customisable to account for your personal circumstances. Our systems can be upgraded with additional features such as external perimeter sensors and lighting to secure the exterior of your property. 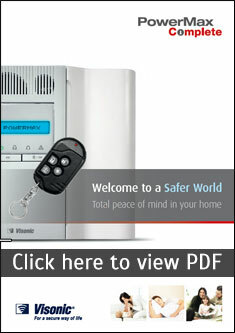 Personal security alarms are another, cost-effective, way to improve your security beyond traditional alarms. Aside from protecting against unauthorised access to your premises, your security system should protect you from less obvious threats, such as smoke and carbon monoxide. There are a variety of options when looking at protecting against additional threats. You can elect to incorporate systems that simply alert you to the presence of smoke and carbon monoxide, or incorporate additional functionality. Alongside the traditional alarm, you can add features such as smoke venting and fire door releases that make evacuation easier and make the situation less hazardous. Take the time to look through some of the options available to you below. If you would like additional information or would like to arrange a survey please call our team on 01162 366 044 or complete the contact form. Solutions, which meet a growing, need for systems, which raise the alarm in "panic" situations. Systems can be interfaced to activate many add on devices. 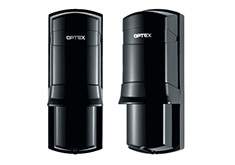 Units are available in wired and wireless formats to suit every security requirement. Suitable for schools, care homes, cash handling facilities etc. The systems we install are approved to EN5013-1 Grade 2 which is recognised by the Police and Insurance companies. Pioneering wireless technology links the control panel and all accessories. 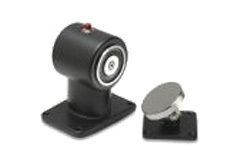 Fire alarm interface units and hold-open magnets, which offer an excellent solution to high traffic doorways, which must also provide a fire containment function. Ideal for school/ hospital corridors, units can be controlled via timer operation to release at key times to allow for cleaning access. In a fire situation, the controlled venting of smoke and hot gases is an effective means of managing and limiting the spread of fire. Roof and wall installed solutions are available and all comply with the latest standards. 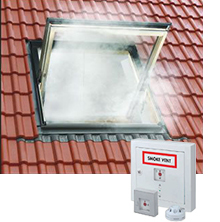 We also offer a wide range of window operated smoke venting systems, units can be installed as a stand alone product or interfaced to an exisiting fire alarm system. External security can be very hard to police from a false alarm point of view, i.e. the detection of wild-life. 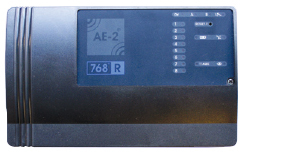 ACS offer a false alarm free solution by installing perimeter IR beam systems, with this option twin headed external beams are installed via suitable post around the property or protected area, units give a signal when both beams have been triggered, thus offering excellent reliability against false activations. Units can be zoned as required and set via a remote control option, with mobile phone conformation of set / unset; units can then trigger a multitude of options, Sounders / Lighting / Pagers / Mobile alerts/ CCTV and much more. External lighting, photosensitive automatic or infrared triggered systems for security and decorative lighting applications. 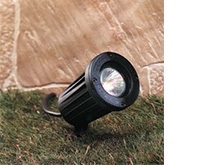 We offer external decorative garden lighting, which can be linked to intruder detection, which can also incorporate an audio warning to the intruder, via external voice operated tannoy, and form part of a perimeter beam system. If you are looking for professional alarm systems in Leicester then please call us on 0116 236 6044 or fill out the contact form and we will get back to you soon. If you wish to contact us about any of our other services such as CCTV systems, access control, or intercom systems then get in touch with us today.